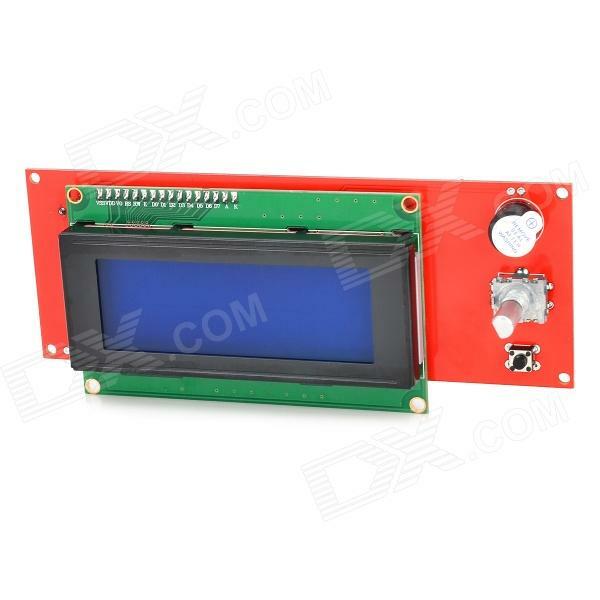 RAMPS LCD with Duet 0.6? Is it possible to use this LCD with the Duet 0.6? I seems to be similar to the PanelOne, but an exact copy so I'm not sure. Re: RAMPS LCD with Duet 0.6? No, that won't work with a Duet as it's designed for RAMPS - there's only 1 display that works with the Duet, and that's the one designed by dc42. It's more expensive, but it's also far more useful! However, a display isn't really required unless you have a specific need, as the web interface is more than adequate for normal use. OK. That's what I figured. I've been printing from SD on my Printrbot for the past few months and it has worked flawlessly *knocks-on-wood*. I really like being able to print without having my computer running the whole time. Is there a way to do that with the Duet without the dc42 LCD? The Duet has a built-in micro SDHC card socket. You can select a file to print using the web interface or a USB host program. You can also upload files to the SD card over the web interface. It would be nice to have that display work with the Duet though. While the SD card socket isn't needed, it's a LOT less expensive than the interface & color touchscreen route and would allow people (like me) to leverage hardware they've got laying around. The interface wouldn't have to be comprehensive, just allow things like homing, picking a file from the internal SD card, etc. I believe someone is working on adding 2004 LCD support to the RepRap firmware. I agree it would be nice to have a simple interface for checking the status of the printer, maybe pre-heating the bed, or just quickly making adjustments while standing in front of the printer. Alternatively, I am planning to use an old cellphone for my "LCD display", assuming I ever get around to it. I can mount it on the front of my printer for displaying the web interface, plus use the camera for IP video. If you think a PanelDue is overkill for you, why not just bookmark the printer's IP address or netbios name on your smartphone?